Australia is a country full of amazing beaches. This country has more than 10,000 of them and one is more beautiful than the other. I have not even visited 5% of them, but still a fair bit. Especially a lot, that are known to be the most beautiful ones in the whole country. To choose the 5 best beaches is quite a hard task, if you think of what else is there to pick. 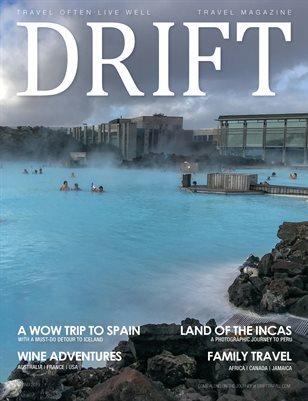 But if you check out the following ones, you’ll get a good glimpse of the typical Australian lifestyle and an inside to what Australia is all about. 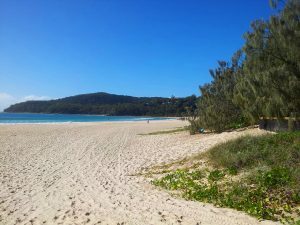 This one is a “Must See” and probably the most beautiful beach of Australia. That’s a least what most people claim. It’s the one you can see on many postcards and it’s totally understandable why it is one of the best beaches in the whole world. The combination of pure white sand, crystal clear turquoise water and a wonderful surrounding landscape is absolutely on of a kind. One sign, which is located at the start of the walk to the observation deck, even says that the sand has formed over the last 80.000 years and could tell you stories about ice ages as well as dinosaurs. It has a long history and the area around Whitehaven Beach is very sought after for sailors from all over the world today. 75 Mile Beach is something you have to see while you are on the Eastcoast. 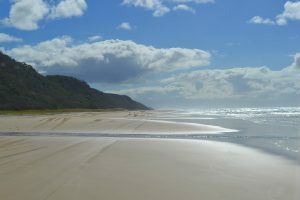 It is one of the longest beaches in the whole country and it belongs to the biggest sand island on earth – Fraser Island. Most people take a 4wheel drive to explore this magnificant piece of nature. 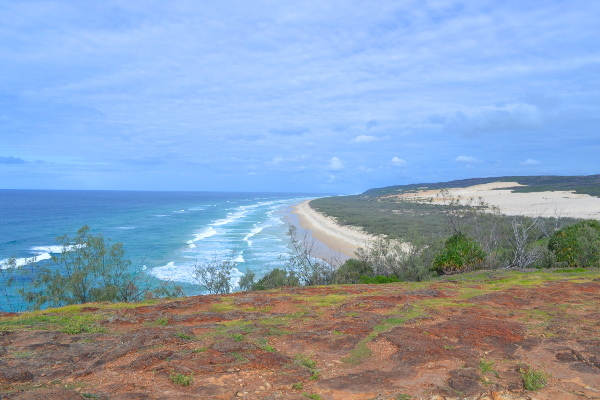 The cool thing about it is, that you won’t find a lot of people, because to get to Fraser Island is not that easy, but therefore you’ll be rewarded with a spectecular view. To see the whole beauty of it you have to go to Indian Heads and have a look at 75 Mile Beach from above. Especially during sunrise this place is very unique. Many travellers, who don’t book a guided tour upfront, get up early to enjoy the reflections of the sun in the last puddles on the beach after low tide. Very cool! Everyone knows Byron Bay. This little hippie village on the Eastcoast of Asutralia is one of the main spots to go to for every backpacker. Cool people, great parties and a chilled out vibe make this place a hot spot. But the most attractive thing might be the Main Beach itself and the good surfing conditions. 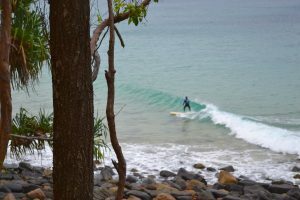 The main beach is not only very pretty, but also perfect for surfing beginners and advanced. Because it lies in a small bay, you constantly get incoming sets of waves. You have good weather almost all year around and the view from the lighthouse towards Main Beach is absolutely incomparable. 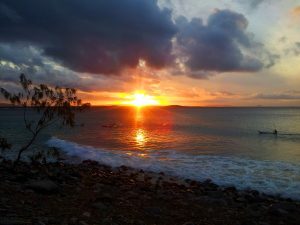 Noosa Beach is not an insider, but it is a great beach and it must be under the top 5 beaches you have to see in Australia. Noosa is a small village 1 hour north from Brisbane. It’s also a perfect beach for surfers and the weather conditions are very good most of the time. It’s sunny, warm and the bay forms wonderful waves for surfing beginners. Not that many toruists know Noosa, which is why the beach is not completely overloaded like many others. The only people you gonna meet are local Aussies. Once you lay on this beach, you instantly sense the tropical vibes and you’ll feel like you’ve reached paradise. Additionally you will probably be blown away by the great wild and marine life. On some days you even have the chance to spot dolphins and whales. This one is quite of an insider. Wilsons Promontory is a truely beautiful national park east of Melbourne. It’s the most southern point of Australia, if you take out Tasmania. Only a few people know this place, which is why it’s completely empty most of the time. This national park is full of different unique animal species and you’ll even find a small population of magroves, which is very uncommon in this area. 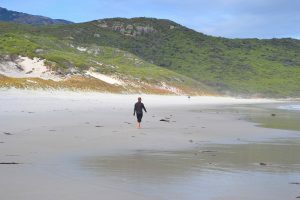 One of the best places in Wilsons Promontory is Squeaky Beach. This small beach has its name from the sand, which makes weird sounds, when you walk on it. To have a look at this beach, which lies in a small bay, is nothing but awesome. It’s quite small, but this does not make it less pretty. Fine white sand, no tourists at all and a unique surrounding landscape. What else could you want?